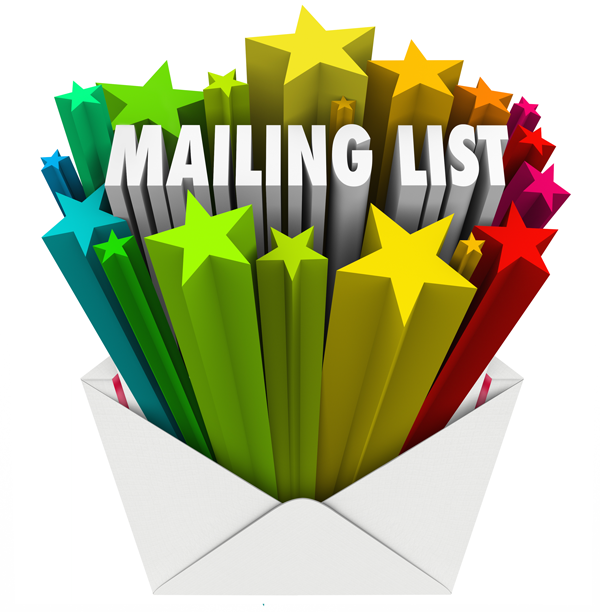 UPDATE: CLICK HERE for for my recent article on How to Build Your Mailing List Quickly. Many authors use social media to post buy my book ads, ask authors to share new release posts and cover reveals. Though you can certainly use social media for that, it's not very effective and doesn't generate a lot of sales. If you haven't figured it out by now, I'm a huge proponent of building your mailing list! And that is precisely what social media is perfect for! Social Media and ads are a great way to promote your mailing list and I want to encourage you to direct your campaigns and readers toward signing up. THAT should be your priority! If you implemented a plan like I've described in the previous posts, you'll have plenty of freebies for your readers, which creates an incentive for them to want to join, so people are going to want to stick around if they enjoy your books! And regardless of how you promote your newsletter or even your books, having a STRONG CALL TO ACTION is important! Any post or ad you create should tell readers what to do. Social Media Campaigns – If you don't know how to do an automatic tweet campaign, CLICK HERE to visit my three-part post on how to do just that. Posting an image advertising your mailing list is much more effective than just a text post. And mention the freebies! “Join Arial's VIP Club for Vampire Freebies. Click here to join now —> http://www.arialburnz.com/vipclub/” And then I attach a picture like this to my FB post or Tweet… (see image above) That quote has been retweeted over 300 times! Social Media Ads – Many authors I know do a lot of ads to promote sales on their books, and then are disappointed when they don't get the sales they were hoping for. Not to say you shouldn't do ads for your book promotions, but if you're on a limited budget, I'd recommend making those dollars count by creating ads centered around pushing people to join your list. Here's an article that has some pretty good advice on what to do, which can be applied to ads other than FB…although FB has changed the rules a bit on what you can include, so be sure to read their guidelines, too. Landing Pages – A landing page is a GREAT way to push your books and especially to get people to join your mailing list. I'll talk more about that below. Your Profiles – Anytime you have a profile online, it should include a call to action for people to join your mailing list. My cover image on Facebook, the cover image for my FB author page, my Twitter profile, my Pinterest board, my Amazon Author Page…anywhere I have a presence on the internet, I ALWAYS put a notice for people to join my VIP Club. If you have other ideas I didn't mention here, please leave other suggestions in the comments below!! My fabulous friend, Jonny Andrews, at ILoveVampireNovels.com told me about landing pages! His mailing list is over 65,000 strong and this guy is the guru of online marketing. By the way, if you write paranormal fiction and romance, I highly recommend advertising with ILVN! it is a very focused audience and you'll get in front of those 65k+ fans of vampires and the paranormal! So, what is a landing page? Well, it's almost like it sounds – a page where people will land when they click on a link. What is IN a landing page is the important part. Your GOAL is to get people to sign up for your mailing list…but not just that, you want QUALITY people to sign up. The best way to do that is give them a sample of what you do AND/OR tell them they can get more for free. But I also use this as a page on my site that informs people of my VIP Club. Whenever I'm telling people about my VIP Club, I usually refer them to that page so they can read about what they're getting if they join. Here's a landing page for Sterling & Stone's Smarter Artist mailing list. They say what they do and what you get for joining their list. Landing pages show people what's in it for them and a strong call to action – CLICK HERE! JOIN TODAY! GET YOUR FREEBIES HERE! Then direct them to your goal, which is to get them to sign up. Whenever you do an ad on Facebook, Twitter, Pinterest, or wherever, try to include the link for your landing page. Another example could be a page that has the trailer to your book. Have the goal of the page at the top (e.g., “Watch this book trailer to learn how to get a FREE copy of Midnight Conquest – Book 1 of the Bonded By Blood Vampire Chronicles”). At the end of the trailer, encourage them to sign up for your list – Click the link below to join my VIP Club and get this book and so much more for FREE! Please share your tips and tricks on how to do the same and perhaps some more details management tips, other than using a mailing list service or plugin. In the next post, I give you suggestions on what you can put in your newsletters – the ones you send out other than your autoresponders.